Thank you for your interest in Empire Golf Management and Club Max! Club Max, created by Empire Golf Management (EGM) -- one of the area’s leading golf management companies -- is the most innovative golf membership program in the northeast region. Join one club, and receive membership privileges at 4 premier private golf clubs in the Tri-State area. That’s right, one membership, and the opportunity to entertain clients, customers and friends on 90-holes of Championship golf including Hollow Brook. Membership to any private golf club in the Club Max portfolio, includes membership privileges at: New Jersey National GC, Basking Ridge, NJ; and Pine Barrens GC, Jackson, NJ. Additionally, members have privileges at Hollow Brook Golf Course at Cortlandt Manor, NY (not Empire Golf managed facility). As the only such private golf club network in the northeast Club Max promises no operating or capital assessments. As an added bonus, Club Max membership includes additional benefits/special rates at a top-rated public facility Twisted Dune Golf Club, located in Egg Harbour Township, NJ. At Empire Golf Management, our sole focus is to create well-designed, interesting, and distinctive, golf course properties. The innovative Club Max program -- The Best Value in Championship Golf -- offers one membership with many clubs. Click here to find out more. To link directly to each club's website, click on the appropriate link below. 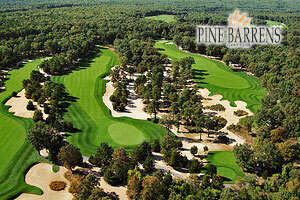 The world-class portfolio of Empire Golf Management includes development and management of properties in New Jersey: Pine Barrens Golf Club, New Jersey National Golf Club and Twisted Dune Golf Club.